Buckle-up, baby... without the PINCH! 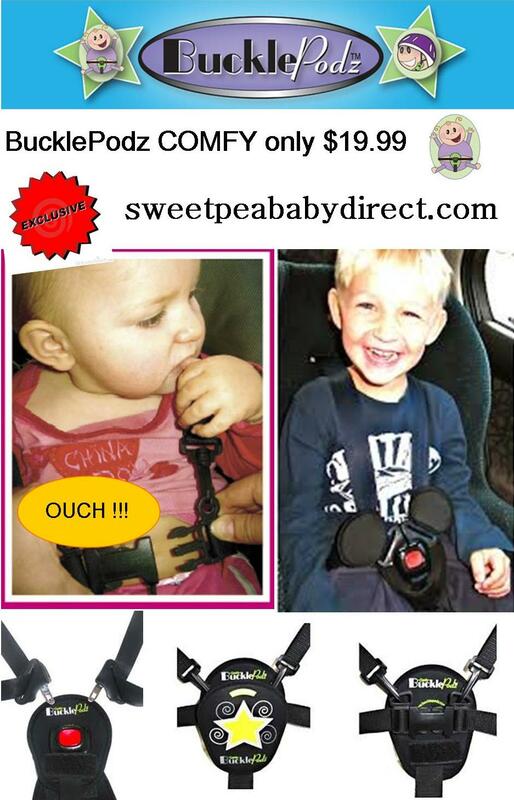 BucklePodz ~Comfy~ helps prevent buckle-pinch accidents, and gives added protection from rubbing crotch-straps (car seat). 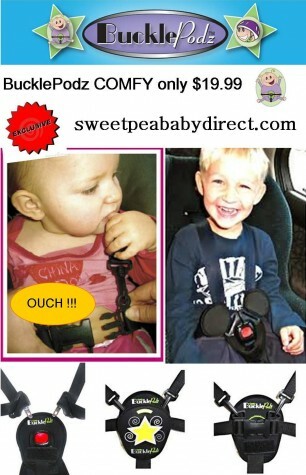 For: highchairs, prams, car-seats, capsules, wheel chairs, even life-vest crotch-straps and more! Now you can keep those straps firm fitting for ultimate protection, without the fear of a pinch! Quick and easy to use for smooth, comfy buckling. Now you can ensure those straps are FIRM FITTING for ultimate protection (and to help stop those little Houdini's in their tracks:). 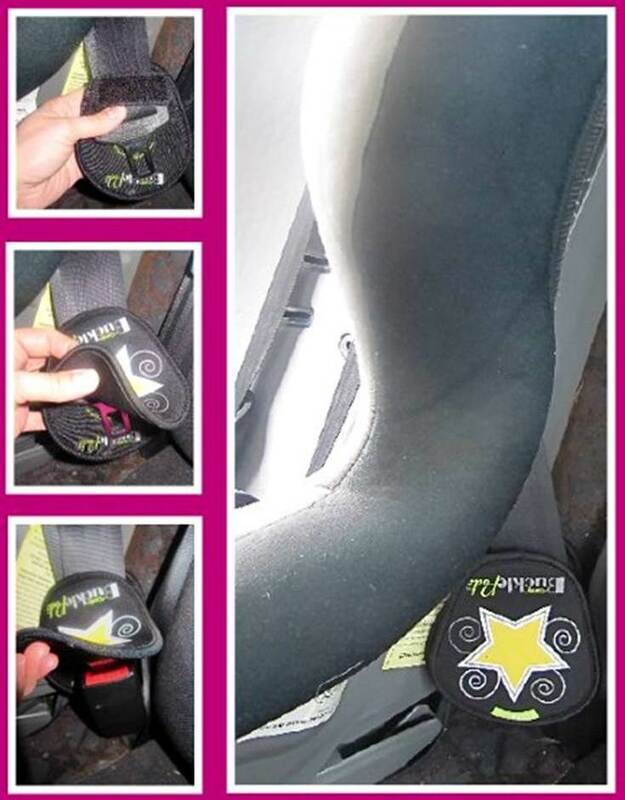 Simply slide it over the buckle, and you are ready to buckle up! If your child is now out of nappies, you will know how annoying and irritating the crotch strap of the seat belt harness can be. And with no nappy to act as padding, the buckle can become quite hot in summer time, especially for little girls who might be wearing a dress and nickers. BucklePodz is the perfect solution! Simply take the top layer off of your BucklePodz Comfy and attach it to the velcro strip on the back, and now you have an extra long padded crotch strap to stop the seatbelt from irritating those delicate areas. Buckle Podz COMFY can double up and also be used to protect and stop the seatbelt connection from being accidently unclipped by unsuspecting passengers. FANCY THAT! BucklePodz fit onto any adult/anchor-point seatbelt buckle, so you can keep that red press button safely out of sight of curious children in booster seats, while helping to prevent accidental un-buckling of the anchor-point buckle for capsules, and car-seats.